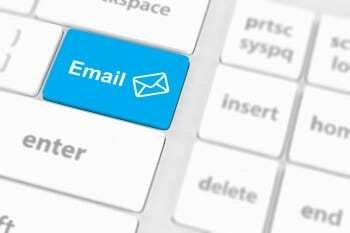 Important Information: Please know that if you are emailing regarding a guest post or any sort of paid publication where you are asking for a “dofollow link” your email will go unanswered and will be marked as spam. I do not allow paid dofollow links on my blog as it goes against Google’s terms of service. Thank you! I love receiving emails and cannot wait to hear from you! If you are a a new reader you can visit my page HERE that outlines great information shared on this simple living blog and includes all the popular topics. Sponsors seeking review and advertising opportunities can visit my P/R Friendly page which outlines information on the type of advertising offered along with social media stats, companies I have worked with, networks I am a member of and even achievements. Want to get to know me better? Visit the About Me page to learn more about me, my family, and the purpose behind this blog. i e-mailed you a while back about the diy mothers day watering can svg and never heard back. is that still available? Could you email me the file for the watering can? I would like to make the Peach and Pineapple Tropical slushie and add the vodka or coconut rum. How much do I use of either one of them to add to the rest of the ingredients for this slushie? I would like to make it for this Wednesday dinner party. Could you please get back with me right away. Thank you very much! Hi Dawn, So the amount of vodka you coconut rum you add truly depends on how large of a batch you are making. If you are making for 1 person, I usually add 1 shot but if you making a much larger batch, you will want to add more otherwise it won't be as strong. So truly it's based on the size of bath you are making and your personal preference on if you like your drinks strong or not. You would want to add the alcohol with the rest of the ingredients of the slushie. Hope that helps!